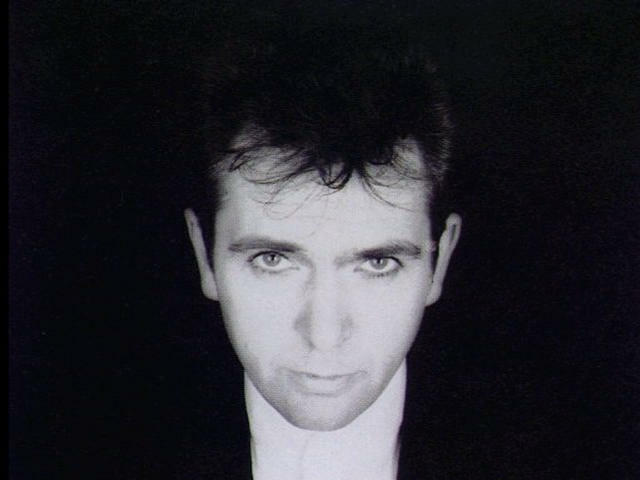 Prior to the release of his 1986 album, "So," British musician Peter Gabriel was previously best known as the former lead vocalist of Genesis during the band's progressive rock phase of the early '70s. After he left that group in 1975, Gabriel recorded four solo albums -- each of them named "Peter Gabriel"--whose music was in the vein of art rock, although he did have a minor U.S. hit song with "Shock the Monkey" in 1982 that reached the Billboard singles chart at Number 29. But it was "So" that became Gabriel's huge artistic and commercial breakthrough, and over time it has proven to be the defining album of his career. Marking that record's 25th anniversary this year is a new special edition reissue of "So" (Real World/EMI) that came out last Tuesday. This 3-CD set contains the original album along with a live concert from Athens, Greece recorded during Gabriel's 1986-1987 tour. In addition, Eagle Vision has released a DVD documentary on the making of "So" as part of the Classic Albums series, and it features interviews with Gabriel, producer Daniel Lanois, bassist Tony Levin, drummer Manu Katche, musician Laurie Anderson, and others. What made "So" very special was that it was Gabriel's most accessible-sounding work at that point in his career. Sonically, "So" was a fusion of rock, pop, funk, avant garde and African influences; while it sounded mainstream, "So" still retained a sense of humanity and social relevance on a lyrical level, particularly on the ballad "Don't Give Up," a very touching duet with Kate Bush, that deals with the personal devastation of unemployment; the dreamy "Mercy Street," dedicated to the late poet Anne Sexton; the haunting and stark "We Do What We're Told," an allusion the famous psychological experiment by Stanley Milgram the '60s; and the soulfully bombastic rocker "Big Time." However, "So" is best known for two particular two songs from the track list, one of them being the funky hit single "Sledgehammer." In the "Classic Albums" documentary, Gabriel said of the track: "Everybody thinks, 'Oh, "Sledgehammer"-- you must have been trying to write a hit.' It wasn't like that. I loved R&B, soul music. So in a way, this was a little bit of homage to that." The success of that "Sledgehammer" was undoubtedly helped by a pioneering and classic animated/live-action music video whose eccentric moments included a train on a track revolving around Gabriel's head and dancing chickens. "Sledgehammer" became Gabriel's first and only Number One -- ironically in the same year that his former band mates from Genesis would have their first chart-topping hit ever with "Invisible Touch." The other famous song from "So" is another gorgeous romantic ballad, "In Your Eyes," which features the memorable backing vocal of Senegalese pop singer Youssou N'Dour. It only reached Number 26 on the Billboard singles chart, but it has since become part of pop culture thanks to Cameron Crowe's 1989 film, "Say Anything." In a scene from the movie, John Cusack's character Lloyd Dobler stands in front of the home of love interest Diane Court, played by Ione Skye, while holding up a boom box playing "In Your Eyes." Complementing the original album on this new reissue of "So" is a live 1987 concert performance from Athens, Greece. Its set list not only includes songs from "So," but also music from Gabriel's earlier solo albums. Those tracks definitely present the artier and edgier side of Gabriel pre-"So," such as "Shock the Monkey," "Games Without Frontiers," "San Jacinto" and "Family Snapshot." One of the poignant moments from this amazing live show (Gabriel has always been known as a magnetic performer on stage) is the set's closing anthem, "Biko," an inspiring tribute to the murdered South African rights activist Stephen Biko. "So" became one of Gabriel's biggest hit records as it reached Number Two on the Billboard album chart in 1986. But beyond the critical accolades, platinum sales, and "Sledgehammer," "So" remains the artist's cornerstone record. After a quarter of a century since its release, it still sounds fresh and more importantly full of integrity.